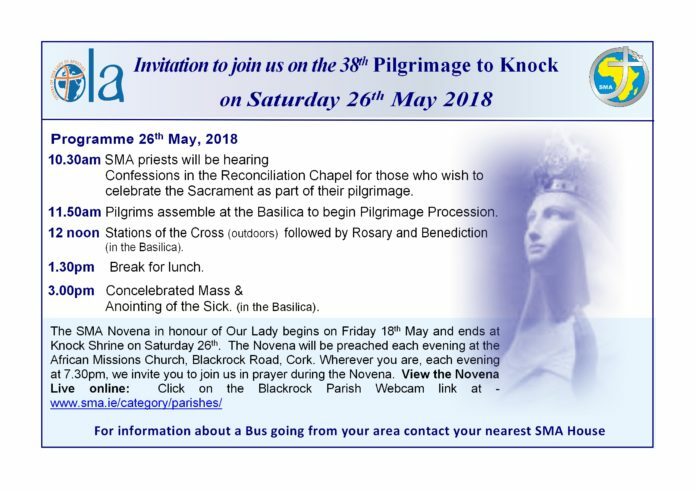 The 38th SMA National Pilgrimage to Our Lady of Knock will take place tomorrow, Saturday, 26th May 2018. All are welcome. 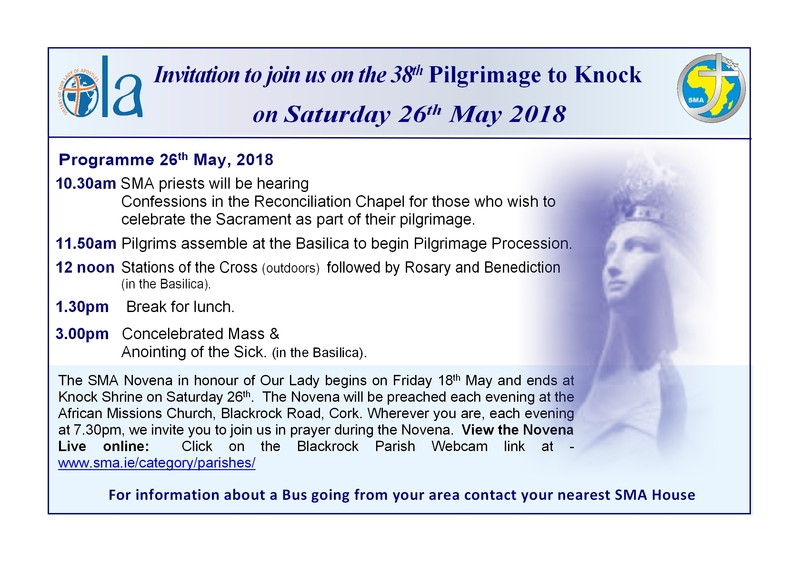 Buses and cars will be travelling from all four provinces of Ireland to Knock Shrine and a large gathering of the SMA Missionary Family is, once again, expected. 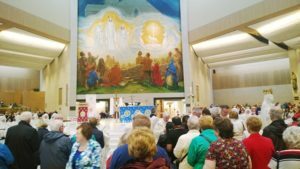 This year’s pilgrimage, in preparation for the World Meeting of Families in August, will reflect on the theme: ‘We are a Missionary Family’. Confreres, associates and friends unable to travel to Knock for our pilgrimage can join us via the Basilica webcam. The celebration of the Eucharist and the anointing of the sick will begin at 3pm. You can access the Knock Shrine webcam by clicking here.